Batman, Magneto and La La Land Star Ryan Gosling brought together in Song to Song, making it one of the most anticipated movies of recent times! There was a time when a star-studded cast was the basic recipe for a blockbuster in Hollywood, but with winds of change, this idea was soon out-fashioned. Director Stewart, however, is going back to the basics, with a list of big names from tinsel town and the tried and trusted formula of a musical romance this year. 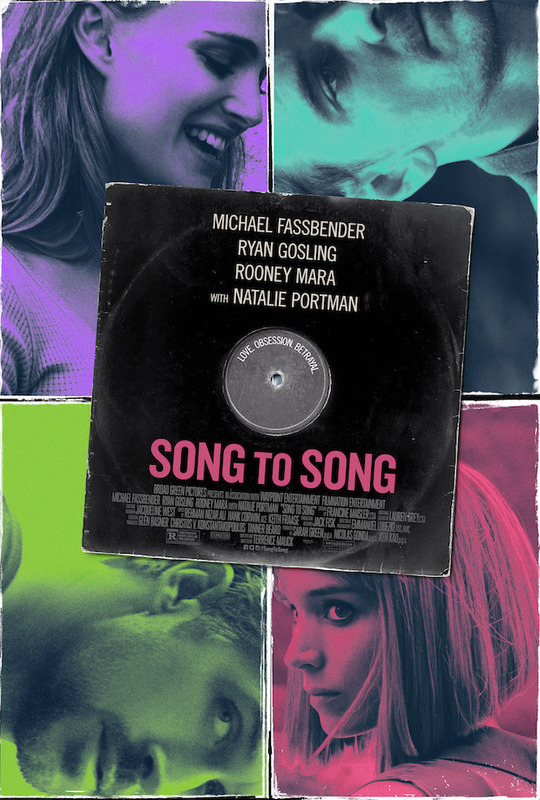 Yes, we are talking about none other than Terence Malick's much-awaited Song to Song, which has created a lot of buzz in the media. The film boasts of a stellar ensemble. And stellar here means it is a crazy list, crazy AF! La La Land star Ryan Gosling will be joined by the very versatile, Rooney Mara, who will play a struggling songwriter couple, whereas Magneto Michael Fassbender and Swan Lake ballerina Natalie Portman will play the music mogul cook and the waitress he is in love with respectively. Not just them, the movie will also star Ex-Batman, our beloved Christian Bale and the very talented Cate Blanchett in supporting roles! Since it a musical it will be backed by some awesome music and soulful soundtracks. Songs and tracks by Patti Smith, Lykke Li, the Black Lips, Iggy Pop, Florence and the Machine and the Red Hot Chili Peppers will either appear in the film or at least be associated with other streams related to it. The film will be showcased in the South by Southwest Festival on 10th March and released worldwide a week later. So do you agree with our excitement that surrounds this film?